Latest Updates on Budget 2019 : No tax on notional rent of second self-occupied House i.e now upto two self-occupied house properties can be considered for exemption while calculating the income from house property. Interim Budget 2019. Owning a house one day – everybody dreams of this, saves towards this and hopes to achieve this one day. However, owning a house property is not without responsibilities. Paying house property taxes annually is one of them. If you want to learn how to save tax on home loan interest, this guide is for you. It also talks about how to report home ownership in your income tax return. Would you like an expert to help you with your IT returns? A house property could be your home, an office, a shop, a building or some land attached to the building like a parking lot. The Income Tax Act does not differentiate between a commercial and a residential property. All types of properties are taxed under the head ‘income from house property’ in the income tax return. An owner for the purpose of income tax is its legal owner, someone who can exercise the rights of the owner in his own right and not on someone else’s behalf. 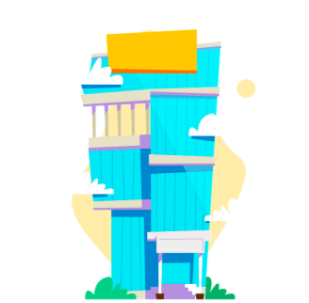 When a property is used for the purpose of business or profession or for carrying out freelancing work – it is taxed under the ‘income from business and profession’ head. Expenses on its repair and maintenance are allowed as business expenditure. A self-occupied house property is used for one’s own residential purposes. This may be occupied by the taxpayer’s family – parents and/or spouse and children. A vacant house property is considered as self-occupied for the purpose of Income Tax. Prior to FY 2019-20, if more than one self-occupied house property is owned by the taxpayer, only one is considered and treated as a self-occupied property and the remaining are assumed to be let out. The choice of which property to choose as self-occupied is up to the taxpayer. For the FY 2019-20 and onwards, the benefit of considering the houses as self-occupied has been extended to 2 houses. Now, a homeowner can claim his 2 properties as self-occupied and remaining house as let out for Income tax purposes. An inherited property i.e. one bequeathed from parents, grandparents etc again, can either be a self occupied one or a let out one based on its usage as discussed above. a. Determine Gross Annual Value (GAV) of the property: The gross annual value of a self-occupied house is zero. For a let out property, it is the rent collected for a house on rent. b. Reduce Property Tax: Property tax, when paid, is allowed as a deduction from GAV of property. d. Reduce 30% of NAV towards standard deduction: 30% on NAV is allowed as a deduction from the NAV under Section 24 of the Income Tax Act. No other expenses such as painting and repairs can be claimed as tax relief beyond the 30% cap under this section. e. Reduce home loan interest: Deduction under Section 24 is also available for interest paid during the year on housing loan availed. f. Determine Income from house property: The resulting value is your income from house property. This is taxed at the slab rate applicable to you. g. Loss from house property: When you own a self occupied house, since its GAV is Nil, claiming the deduction on home loan interest will result in a loss from house property. This loss can be adjusted against income from other heads. Note: When a property is let out, its gross annual value is the rental value of the property. The rental value must be higher than or equal to the reasonable rent of the property determined by the municipality. When is the deduction limited to Rs 30,000? As already mentioned, if the construction of the property is not completed within 5 years, the deduction on home loan interest shall be limited to Rs. 30,000. The period of 5 years is calculated from the end of the financial year in which loan was taken. So, if the loan was taken on 30th April 2015, the construction of the property should be completed by 31st March 2021. (For years prior to FY 2016-17, the period prescribed was 3 years which got increased to 5 years in Budget 2016). Note: Interest deduction can only be claimed, starting in the financial year in which the construction of the property is completed. How do I claim a tax deduction on a loan taken before the construction of the property is complete? Interest paid during this time can be claimed as a tax deduction in five equal instalments starting from the year in which the construction of the property is completed. Understand pre-construction interest better with this example. The deduction to claim principal repayment is available for up to Rs. 1,50,000 within the overall limit of Section 80C from FY 2014-15 onwards (Rs. 1 lakh if you are filing returns for last financial year). Check the principal repayment amount with your lender or look at your loan installment details. Stamp duty and registration charges Stamp duty and registration charges and other expenses related directly to the transfer are also allowed as a deduction under Section 80C, subject to a maximum deduction amount of Rs. 1.5 lakhs. Claim these expenses in the same year you make the payment on them. Section 80EE recently added to the Income Tax Act provides the homeowners, with only one house property on the date of sanction of loan, a tax benefit of up to Rs.50,000. These benefits are not available for an under construction property. If you own more than one house, you need to file the ITR-2 form. 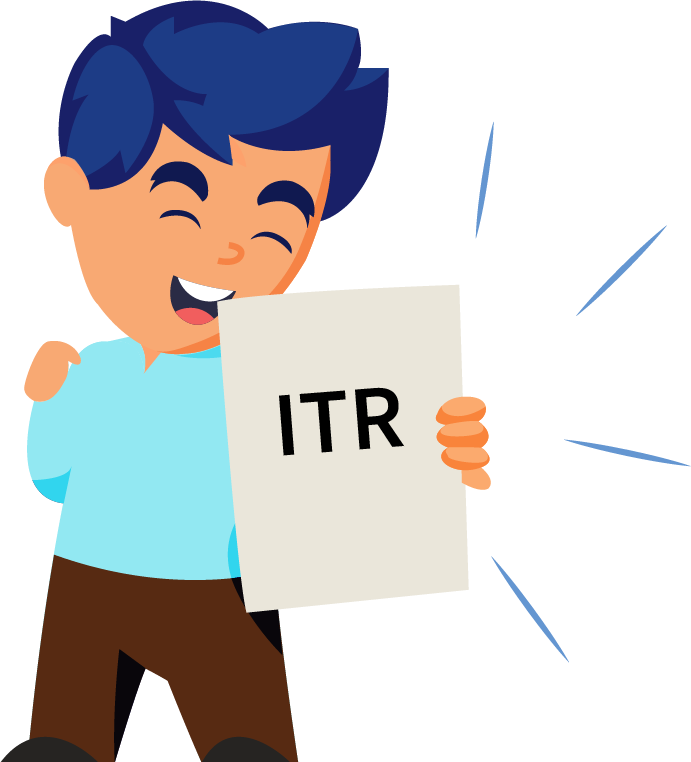 Read our guide to ITR-2 form here. The amount of deduction you can claim depends on the ownership share you have on the property. The home loan must also be in your name. A co-borrower can claim these deductions too. The home loan deduction can only be claimed from the financial year in which the construction is completed. Submit your home loan interest certificate to your employer for him to adjust tax deductions at source accordingly. This document contains information on your ownership share, borrower details and EMI payments split into interest and principal. Otherwise, you may have to calculate the taxes on your own and claim the refund, if any, at the time of tax filing. It’s also possible that you may have to deposit the dues on your own if there is a tax payable. If you are self-employed or a freelancer, you don’t have to submit these documents anywhere, not even to the IT Department. You will need them to calculate your advance tax liability for every quarter. You must keep them safely to answer queries that may arise from the IT Department and for your own records. The joint owners, who are also co-borrowers of a self-occupied house property, can claim a deduction on interest on the home loan up to Rs 2 lakhs each. And deduction on principal repayments, including a deduction for stamp duty and registration charges under Section 80C within the overall limit of Rs. 1.5 lakhs for each of the joint owners. These deductions are allowed to be claimed in the same ratio as that of the ownership share in the property. You may have taken the loan jointly, but unless you are an owner in the property – you are not entitled to the tax benefits. There have been situations where the property is owned by a parent and the parent and child together take up a loan which is paid off only by the child. In such a case the child, who is not a co-owner is devoid of the tax benefits on the home loan. Each co-owner can claim a deduction of maximum Rs 1.5 lakhs towards repayment of principal under section 80C. This is within the overall limit of Rs 1.5 lakhs of Section 80C. Therefore, as a family, you will be able to take a larger tax benefit against the interest paid on the home loan when the property is jointly owned and your interest outgo is more than Rs 2,00,000 per year. It’s important to note that the tax benefit of both the deduction on home loan interest and principal repayment under section 80C can only be claimed once the construction of the property is complete. Raghav lives in a rented house in Noida since his own office, son’s school and his wife’s office are in Noida, He has his own house on the outskirts of Delhi which is quite small and also lying vacant. He is paying interest on the loan on his own house. Aditya earns rental income from his house in Vizag.See how his GAV and NAV are computed and how much he has to pay as taxes here. Till FY 2016-17, loss under the head house property could be set off against other heads of income without any limit. However, form FY 2017-18, such set off of losses has been restricted to Rs 2 lakhs. This amendment would not really affect taxpayers having a self-occupied house property. This move will have an impact on taxpayers who have let-out/ rented their properties. Though there is no bar on the amount of home loan interest that can be claimed as a deduction under Section 24 for a rented house property, the losses which could arise on account of such interest repayment can be set off only to the extent of Rs 2 lakhs. What is your ‘income from house property’ when you/your family live(s)in it? If you are using your property for residence throughout the year and it’s not let out or used for any other purpose, it is considered a self-occupied house property. The gross annual value of this property is zero. There is no income from your house property. Note: Since the gross annual value of a self-occupied house is zero, claiming the deduction on home loan interest will result in a loss from house property. This loss can be adjusted against your income from other heads. Click here to read how Suresh made a loss on his home property due to his home loan. I own a house of two floors and run my business out of the Ground Floor. I live on the 1st Floor. How much will I pay in taxes? The Ground Floor will not be taxed under “income from house property” head. It shall be taxed under Business Profession head. The first floor will be treated as a self-occupied house property. Income from house property will be zero in this case. A house has been self-occupied for six months and rented out for six months. What is its income? Calculate the gross annual value of the property by finding out its reasonable rent and actual rent collected. If Actual Rent is lower than Reasonable Rent, only because the house was vacant and not for any other reason, take actual rent collected as Gross Annual Value. If Actual Rent is lower than Reasonable Rent because of other factors (say the tenant and the landlord are related), then take reasonable rent as GAV. Income received as rent from subletting of house property will be taxed under “Income from House Property”? No. This is because rental income received by the owner of property alone is taxed as “Income from House Property”. Rental income in the hands of anyone other than the owner shall be taxed under “Other sources”. Therefore, income from subletting will be chargeable under “Other Sources”. Can a deduction of interest paid against loan taken from friends and relatives be claimed from house property income? Yes. A deduction under Section 24 for interest paid on loan availed from friends or relatives is also allowed from the Net Annual Value. The law nowhere mandates that the loan should have been taken only from a bank to claim this deduction. But here, one must note that the principal repayment in respect of such a loan will not qualify for a deduction under Section 80C. I have taken a home loan from a bank for construction of a house in June 2015. The construction of the house is complete in June 2018. I have started paying the EMI for the home loan taken from July 2015. Will I not get any benefit of the home loan repayment made between July 2015 and June 2018 as the construction is complete only in June 2018? The income tax law allows you to claim pre-construction interest as a deduction from the Net Annual Value, which is nothing but the interest payment on home loan made between the date of borrowing and date of completion of construction. This interest can be claimed in 5 equal instalments beginning the year of completion of construction besides the regular interest claim. How does the claim of deduction under Section 24 and Section 80C work if a home loan has been availed for 2 houses? A taxpayer can claim deduction under Section 24 of interest paid on home loan for each of the houses separately. However, the overall loss from house property that can be claimed for a year is restricted to Rs 2 lakhs. As regards 80C deduction, the principal portion of home loan repaid in respect of both houses can be claimed, however within the overall cap of Rs 1.5 lakhs for each financial year. What is a self occupied property, let out property and deemed let out property? Let Out: Is one which you have given out on rent. Therefore, the rental income would be considered as your income from house property. Deemed Let out: When a taxpayer owns more than two house property, the law mandates that only two (Prior to Budget 2019, it was only one property) such properties can be treated as self-occupied while the third one (irrespective of whether let out or not) will be deemed to be let out. One is supposed to file his return within the due date which is 31 July for most of the individual taxpayers. If this is not done, losses if any, would not be allowed to be carried forward to future years for set off. However, losses from house property is an exception to this rule and can be carried forward to future years even if return is not filed on time. I have paid municipal taxes on my flay pertaining to the year 2017-18 in April 2018. Can I claim deduction of such taxes for FY 2017-18 (AY 2018-19)? I am the owner of a shop space which I have given out on rent. How should I offer such income to tax? If rent has to be charged to tax under “Income from House Property”, the property that has been given on rent must be a building or a land appurtenant thereto. Since the shop falls under the definition of a building, the rental income from such shop must be offered to tax under “House Property only”. I have transferred my flat in the name of my wife as a gift. She receives monthly rental from this flat. Should she offer this as her income? Since the flat has been given to your wife as a gift i.e. for nil consideration, you will be considered as the “deemed owner” of the house and the income from renting the flat will be clubbed in your hands and you must offer the same to tax as house property income. I have received an unrealised rent which were arrears in earlier years. What will the tax treatment for such realisation of arrears of rent ? Since the unrealised rent was excluded from “Income from house property” in the previous years due to non- realisation, you will have to include this income in the year of receipt of arrears of rent. It is not necessary to be the owner of the property in the year of receipt. You can also deduct 30% of such rent while charging it to income tax. I have 6 separate let out properties.Should I calculate the house property income for each individual property or by clubbing all the rental receipts in one calculation? The calculation will have to be made separately for each of the properties. I own a property which was self-occupied from April 2017 to September 2017 and then was let out from October 2017 to February 2018. How will I compute my Income from house property ? For the purpose of computing Income from house property, such property will be considered to let-out throughout the year. However, actual rent received will only be considered for let-out period i.e October 2017 to February 2018. How to compute income from a house property, when part of the property is self-occupied and part is let-out? 10. Would you like an expert to help you with your I-T returns? Get help on your income taxes and tax filing. The experts can prepare your tax returns and e-file within 48 hours. Plans start at Rs.800 for taxpayers with income from house property. Check out The Expert Assisted Plans → Didn’t find what you’re looking for? Relax! You can write all your doubts at support@cleartax.in. Our experts will be happy to help you. Owners of properties in Hyderabad are liable to pay property tax to Hyderabad Municipality body called Greater Hyderabad Municipal Corporation every year. Know more about GHMC Property Tax & its components. The Municipality that is entrusted with the task of regulating, managing and collecting property tax in Chennai is The Greater Chennai Corporation. Property tax is levied on building and vacant land unless specifically exempted. This article gives you a detailed understanding of MCD Property Tax / Municipal taxes in Delhi. Know about its mode of payment, calculations, interest for non payment, due date, penalties, rewards and payment exemptions. A step by step guide to pay BBMP property tax. Know about Bruhat Bengaluru Mahanagara Palike, it's payment procedure, computation, forms & tax benefits. Check out the conditions to be fulfilled to claim the tax benefits on the jointly owned property. Also find out the tax benefits on a joint home loan. A step by step guide on how to claim Interest on home loan deduction. Check out the documents needed, calculation of income and claiming u/s 80C. Here are the top 5 things you must know about the most common allowance i.e HRA. Know about how to claim HRA, what else required to claim HRA etc. Read the case study on deduction for pre construction interest. Check out how interest is calculated taking EMI into consideration. 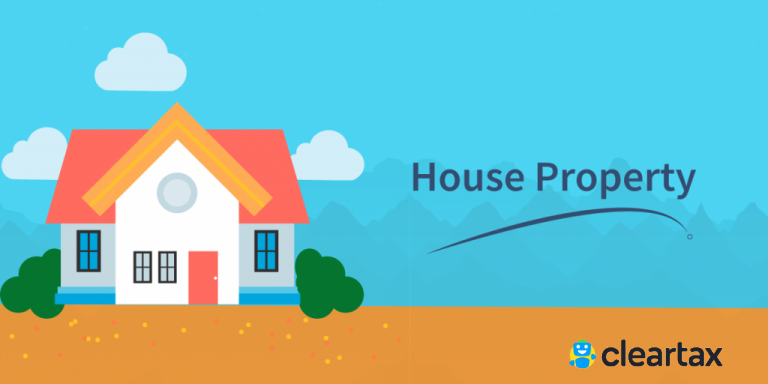 Know about income tax deductions under Section 24 from house property income. Find out the conditions for claiming Interest on home loan deduction. Pre-construction interest is deducted on home loan interest but can only be claimed after the house is finished. Read the guide to find out how you can claim pre-construction interest for your house. Stamp Duty and Registration charges of a house property can be claimed as a deduction under Section 80C. This tax benefit must be claimed in the same year the payment is made.